These ironic bear shaped bottles are a unique gift for anyone! 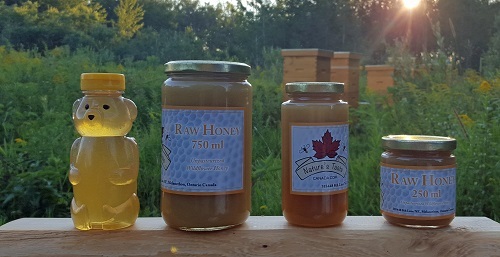 All of our pure unpasteurized raw honey is harvested from our own bees on our farms in Southern Georgian Bay area. These ironic bear shaped bottles are a unique gift for anyone! 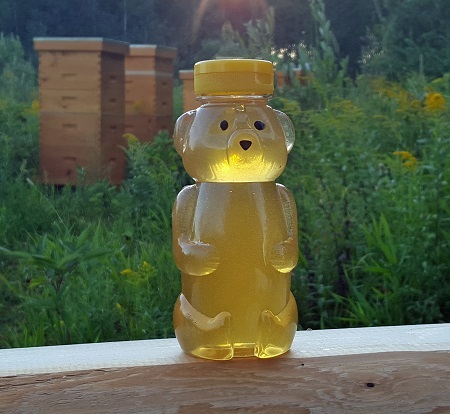 All of our honey is harvested from our own bees on our farms in Southern Georgian Bay area. This honey is not Pasteurized and packaged straight out from the bee hive. A true taste of nature you will always want more! See the How Its Made page for more information on our bee yards.